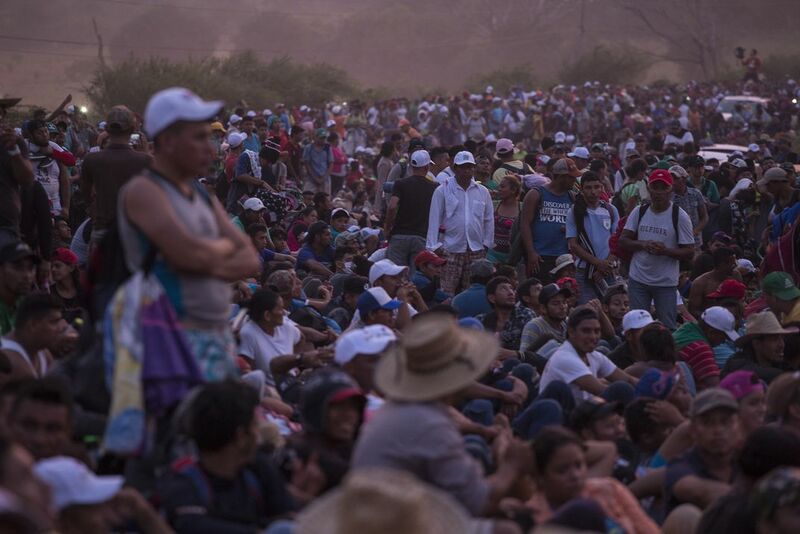 Thousands of Central Americans wait for the police to open the road to Tapanatepec, this as part of the migrant caravan that walks on October 27, 2018 in Tapanatepec, Mexico. The caravan of the Central Americans plans to eventually reach the United States. The president of the United States, Donald Trump, has threatened to cancel the recent trade agreement with Mexico and to withhold aid to the Central American countries if the caravan does not stop before reaching the United States.